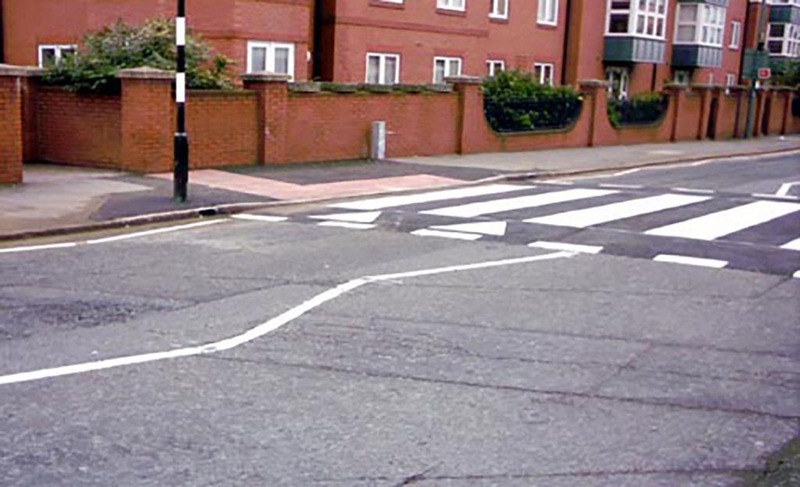 Providing kerb to kerb crossings obstructs water channels The small height change of the crossings makes ducting through them impractical and creating gullies is expensive. 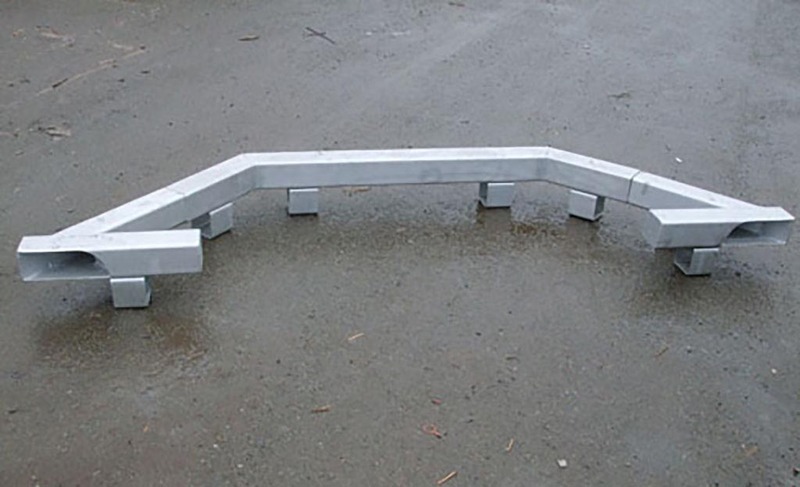 Drop Kerbs reduce the available Cross section of ducts like the Kinghurst Bypass Kerb and the Nib Nobbler. This makes them prone to blockages which rarely occur a full depth unit is specified. 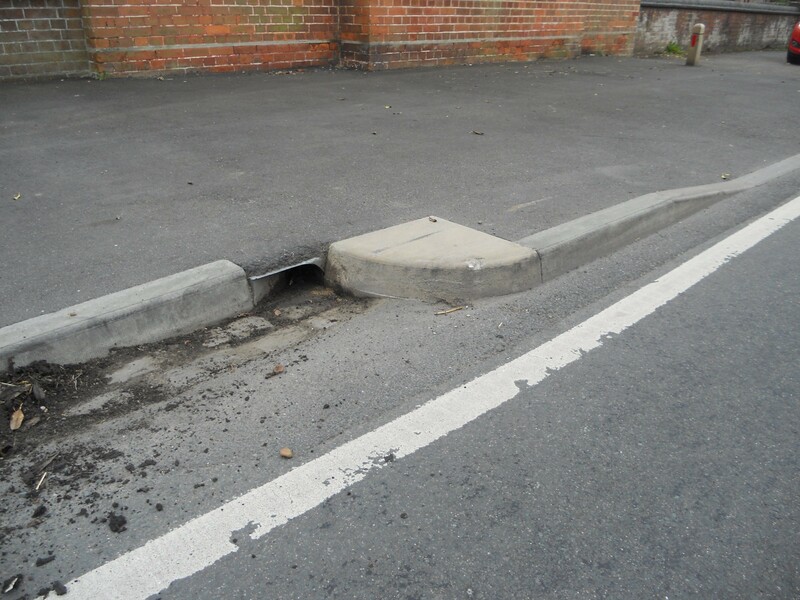 By moving the duct back from the kerb face it is possible to acheive the required depth and gentle changes to the direction of water flow induce swirls which scour out any build up of silt. The final result is unobtrusive. Special units can be supplied to deal with special circumstances. This unit in our larger 150xl00 section was used to control tidal flooding of coastal road in North Wales. 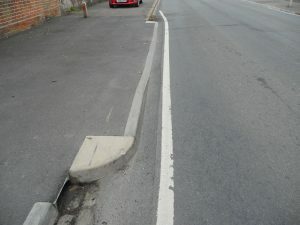 In this case it was not necessary to take the duct to the back of the footpath. The more intense rainfall we now have is creating challenges for Highways Designers. We are expanding our range and the size of the ducts to provide the products needed to deal with the changing requirements The units can be supplied in I00xl00 section or 150xl00 to cope with higher flow rates.